(Text automatically translated) THE ETERLOUS ideally located in the heart of the resort, very quiet, comfortable, large balcony 6'50m ² south facing station, AND MORE hydromassage shower, TOWEL DRY, very pleasant after 1 day ski cabin with 1 double bed, 0'80CM folding beds, which allows for one space more important to get the most of this area (January 2 possesses identical apartment on the 4th floor in renovated. available for next season). 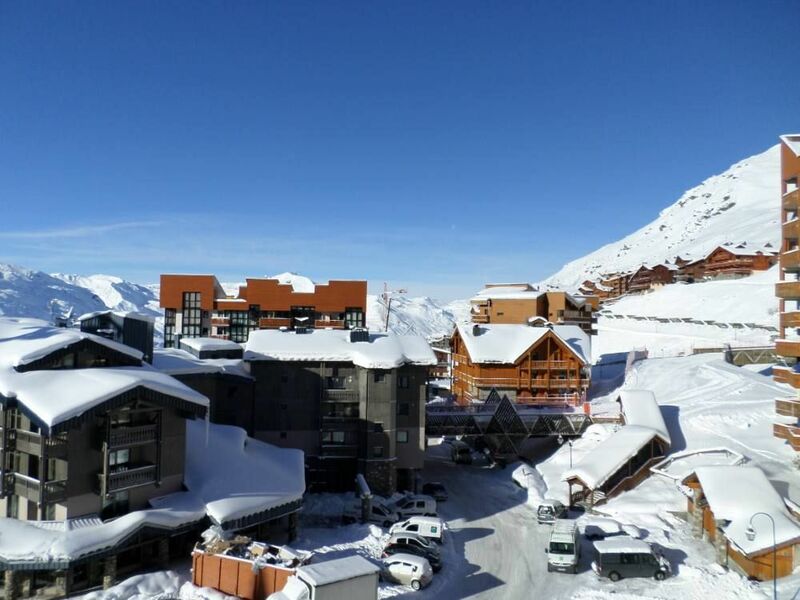 We had a very enjoyable week in Val Thorens at this lovely apartment. The location is very central and close to the slopes / amenities. The apartment was clean and practical for our family of 2 adults and 3 children. I would readily recommend it to others. "A lovely appartment. Great location. The owner is very helpful, could not ask for any better." "Perfect holiday. Great appartment, We could not get any better location. The owner was great and very helpful. Nothing was to much trouble for her." "Perfect appartment on the perfect location, cross the small road and start skiing!" "the apartment is in a central location... can ski to your doorstep. very well equiped and the owner was very helpful with direrctions. the mountain was fabulous. excellent all round"
"Clean and quiet; only three of us in the apartment and it would have been a squeeze for 5 or 6 (but that is the same for all ski apartments). Everything was supplied (except bedlinen and towels). Two minutes to the slopes. Excellent."